Intus Windows utilizes uPVC window and door frames that are reinforced with steel u-channels for increased strength and stability. The use of unplasticized-polyvinyl chloride or U-PVC which has no plasticizers added and resulting window frame is stronger, longer lasting and much more UV resistant. The uPVC frames do not rot and do not require painting and the window & door frames are available in a wide variety of laminate colors. The use of triple pane glazing makes for superior energy efficiency, interior comfort, and noise reduction. The windows are Design Pressure (DP) rated up to DP70 and use triple EPDM gaskets which provides superior air & water tightness. Multiple locking points on operable windows & doors insure air tightness and strength. Operable windows come in tilt & turn designs. SHGC ranging from 0.25 to 0.62 make them suitable for both southwest deserts to northern climates. Glazing available in Ug values ranging from 0.08 to 0.106 Btu/(h.ft2.F) with Argon or Krypton gases between the panes of glass. 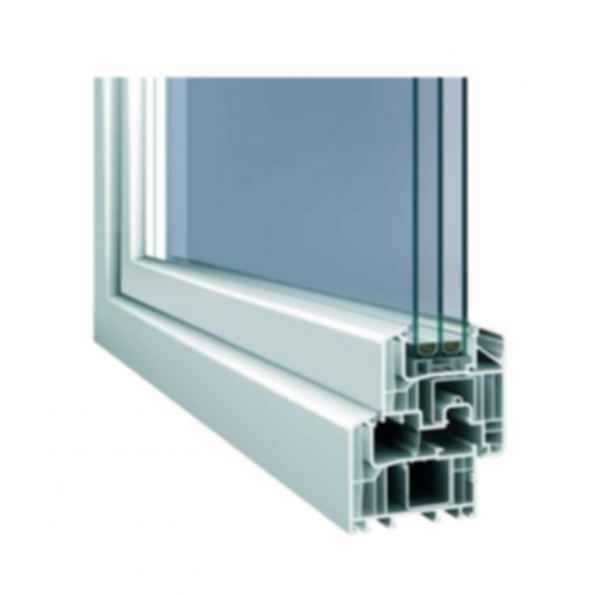 The uPVC lineup is suitable for Passive House buildings. 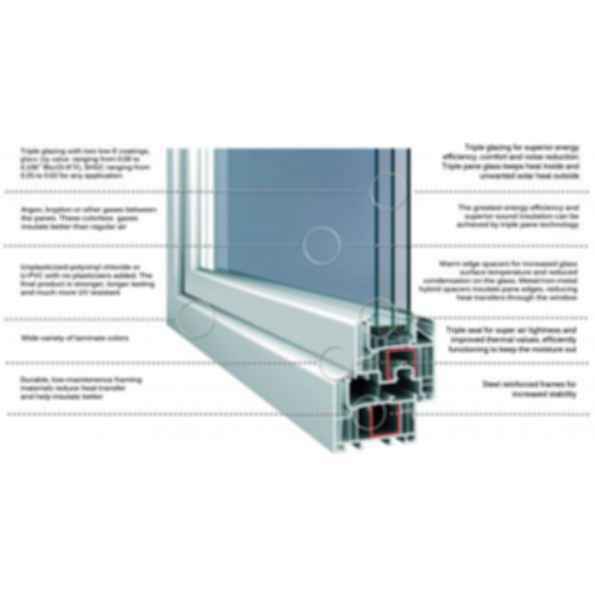 Triple window seal provides superior air tightness of 0.03 CFM/ sq.ft.